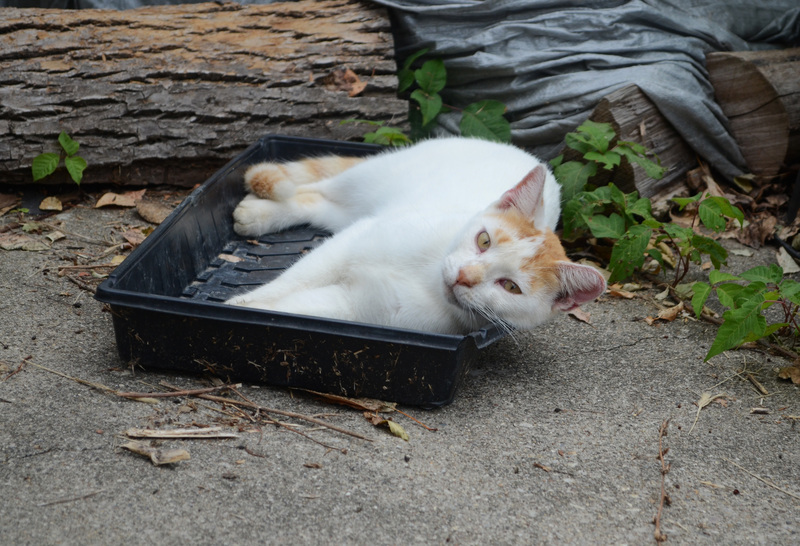 Cats on the farm love to sleep in boxes, crates, or anything novel they find. 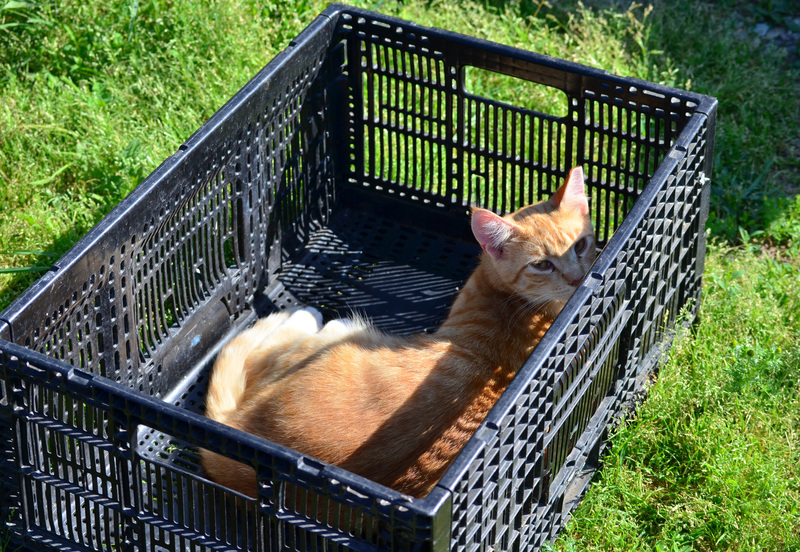 If the farmer leaves a produce crate on the ground you’ll see a cat sleeping in it within minutes. 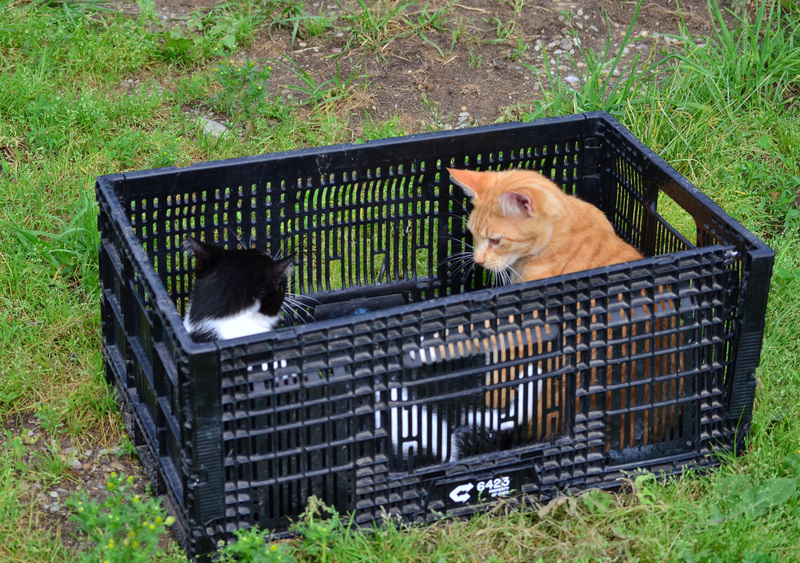 Sometimes fights break out between cats for access to the crates and other times cats peacefully share them, often grooming each other or falling asleep on one another. Reminds me of the Japanese television show where there was a room full of kittens and covered ceramic bowls. 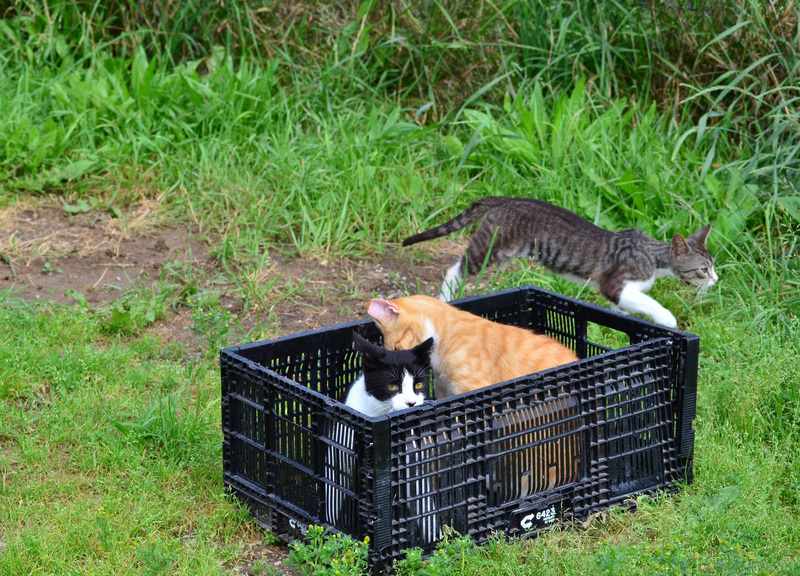 When the lids were removed, the kittens climbed in and curled up in the bowls. No doubt, cats love sitting inside of things! Thanks for finding that Japanese show – loved watching it again!